When you are going camping with children, often for the first time or in the early days as camping as a family, it might be easy to think you need to buy some camping gear suited to the children, not the adults. Stores encourage this way of thinking, because it means more money for them! But is child-specific camping gear actually a necessity? It would be easy to believe so if you look around the shops at the camping gear targeted for younger years. But before you go and invest in more camping gear for the family, then read on, and find out about some key camping items, that are available in children-size!! Are they necessary? Find out what you should buy for the kids. FYI: This guide isn't designed for those camping with babies. Babies are going to most likely need some little extras to keep them safe, so we won't cover that here. You can read up on key resources for camping with babies and toddlers - this list will help you if you are camping with very young campers. "Do we buy a child's sleeping bag or let them use an adult one? " is the big question we get asked. The benefits of a child having a sleeping bag designed for their age group is that there is less air that needs to be warmed up in the bag itself if its suited to their size. An adult bag has a lot more space, which means it might take longer to warm up and keep warm. A good night sleep is important for everyone, and the right bedding for the right conditions is crucial. Keeping warm in a sleeping bag depends on other factors too - such as what you are sleeping on, what you wear in the bag, the shelter you are using and of course, temperatures you are sleeping in. There are a lot of sleeping bags for children on the market, and some of the ones you see for kids (with Frozen characters, Spiderman, etc) are geared towards sleepovers, in the comfort of a home. These sleeping bags are fine for those occasions, and warm weather camping. But I wouldn't want to rely on these in cooler weather, in a tent. If you are keen on camping, or looks like you will become campers, look at child specific sleeping bags from reputable camping companies. Some sleeping bags might have a integrated pad sleeve - keeps the sleeping mattress against the sleeping bag, so your child won't be rolling off the mat during the night. Other sleeping bags for kids, offer small pockets on the sleeping bag for belongings to be kept close to the child. Mountain Hardwear has a kids sleeping bag that has a "unique drawcord system allows you to adjust the bag's internal length to grow as your child does." Try to borrow a sleeping bag before committing to a purchase. If you can't find a child specific bag or just don't want to outlay the expense, then at the bottom of the adult sleeping bag, you can stuff it with clothes, blankets, to fill up the space which means less air to warm up. As always, quality will cost a bit more. If it looks like the children's sleeping bag will be passed onto other kids, then paying for a good one in the beginning will increase your chances of it lasting. To find out more about choosing sleeping bags, for a child or an adult - we have tips on choosing a sleeping bag for you to read so you can make informed decisions about what sort of bag is best for you and your family. You have thought about the sleeping bag, but what to actually sleep on? That depends on your space. 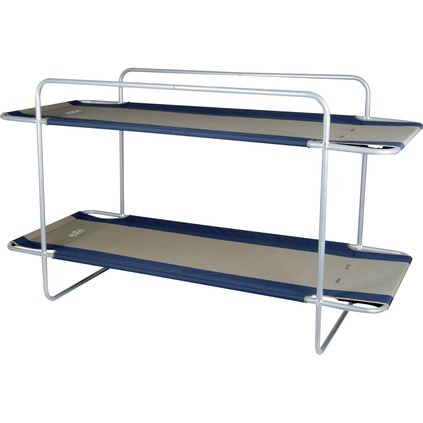 Stretchers do take up more room than rolled up sleeping mats, so what you can fit in your car is going to be up to you. Stretchers do get the child off the ground, and you can make it more like a bed - but don't buy the stretcher/cot aimed at children. It's a waste of money. Get the adult stretcher - this is something that can then be used by everyone. Note: some stretchers are so complicated to put together its a chore to do every camping trip: check in a store about set up and dismantling before committing to a purchase. Self inflating mattresses take less room, but some parents worry about the cold seeping through. If you have a self inflating mat, they come with great insulating properties especially buying quality eg. Therm-a-Rest. You can read about how to choose a self inflating mat here - it will explain how they work and what you need to look for. It is possible to buy smaller self inflating mats, but like the stretchers, I wouldn't bother getting a smaller version for children. 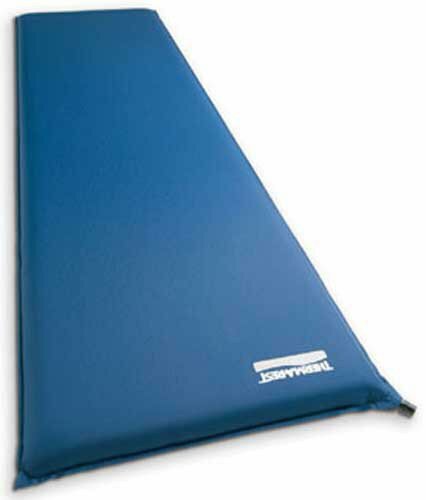 Air mattresses are different to self inflating mats - and cold can seep through with them. You will need to have something underneath the mattresses, and then a good quality sleeping bag for your child. We don't use air mattresses after a miserable night, in the freezing cold on one of them. We are not advocates of them at all, though others love them! Kid specific shelters are an option that some families will look into. If you are campers for the first time, you might be looking at a family tent, with you all together - its a good start. But if your children are more independent, there are options for them. These are options for shelter that are not mandatory purchases for family camping! You can purchase a small dome tent, which will give you flexibility to pitch right next to wherever you are. Avoid the ones with Disney characters from the toy section. You need to get one that will withstand wind and rain, and last beyond any current passion for a character. Some of the cheap tents you see for $20 might be fine for home, but don't rely on them when camping. A tent will be useful for your child, whatever age they camp, so if the family tent isn't an option for your child, a little tent of their own is handy (teenagers definitely appreciate being away from everyone). 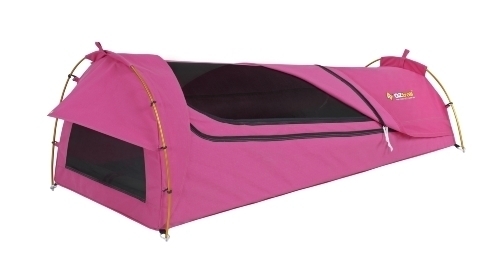 Children sized swags are very popular, and are a good purchase, as long as you are planning on camping regularly to benefit from the initial outlay of a child specific swag. Being in a swag, means that the children are not next to you like, in a tent. They are in their own little domed self contained sleeping set up, so maybe not recommended for younger children (but its going to depend on individuals and locations). With the rise in popularity of hammock camping, kids hammocks are great. Like the swag, it means the child isn't right next to you, but on their own. It is a different camping experience and one that many children love - it's like sleeping in a cradle. I see a lots of camping chairs aimed at children. They are very cute. But a waste of money. Buy a chair that they can grow into, not out of. Lots of these little cute chairs are too small to bring to the table as well, so the kids have the problem of being way below table top level. At least on an adult sized chair, it fits the table - even if the kids can't see over the table, they can kneel on the adult chair. Why is this a camping key item? Without a chair for the kids, you will find yourself standing around (as the kids have planted their bottoms on the chair you brought for yourself) or having them on your lap all the time. Kids do have so much more "stuff". But what is key for them to bring in terms of personal items? Not too different to an adult actually. As you can tell, kids camping gear is very similar to adults. 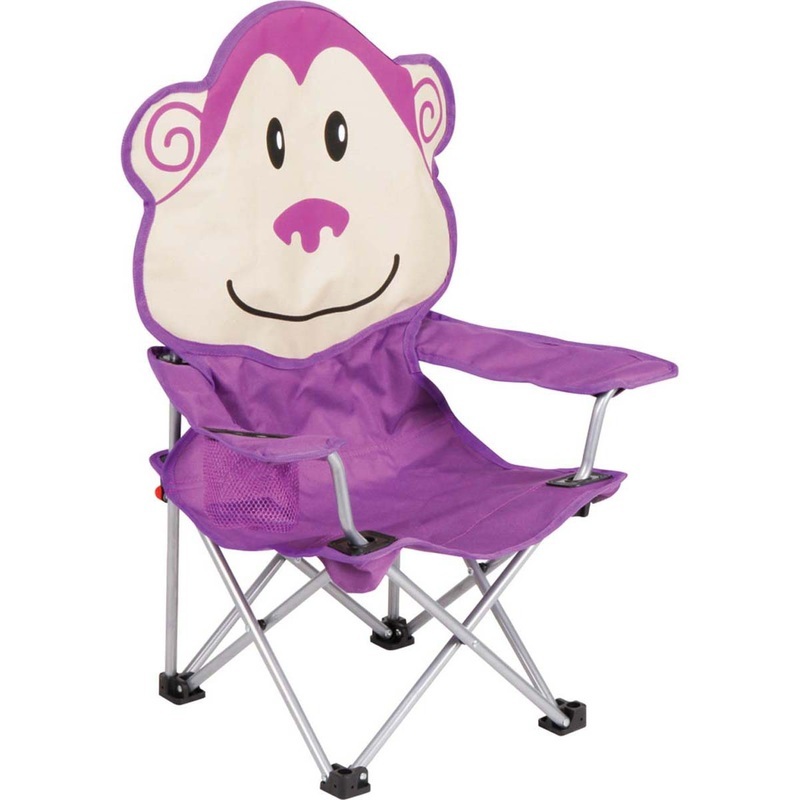 We all need the same things when camping but there is a marketing ploy to make us spend more and get the cutesy versions of camping gear, which kids will outgrow. Rather than spend money on some of this child specific camping gear (except the sleeping bag) we recommend putting that money towards quality goods that will last you through many camping years, and that your children will benefit from as they grow. Camping doesn't need to be complicated, and buying all sorts of gear for every stage of your child's life is not only expensive but complicates your packing for a trip!